Ken & Kevin are back and ready to ramble about the Winter Olympics. 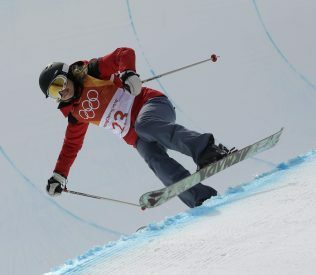 Their jumping off point is Elizabeth Swaney of Hungary who competed in Freestyle Skiing Half Pipe. How did she get to the Olympics if she can’t do any tricks? If she’s American, how did she end up competing for Hungary? Did Hungary foot any of the bill for all of her travel to competitions? What is Kevin’s thoughts on men’s Olympic hockey without the NHL players in it? The guys move from groups of people competing in sports to adults competing at Disneyland. Did you have any idea there were social clubs of adults that went to Disneyland at least monthly? Would either of your hosts want to participate in such an endeavor? What are some of the names of the groups? Is it inevitable with at least a hundred of them that there would be problems between some of them? What is one group alleging that another does? Are the defendants making valid points? Can someone just cover all these jokers in fairy dust to make everything better in Disneyland? Ken & Kevin wrap up with a singular interesting person in biohacker Josiah Zayner who is the CEO of Ascendance Biomedical. What did he inject himself with when he was on a Live Stream? Why did he try to replace the bacteria in and on his body? What perils does this bring? Did the experiment work? Is it repeatable? Find out when you click the link below!